The global market is experiencing a rise in e-commerce. A huge number of people are now using the internet for their shopping needs. Different regions have consumer oriented markets thanks to the availability of internet. The internet shopping trend in the world reflects consumer preferences as far as variety and convenience go. Online systems and technological development has led many companies to offer their services and goods online to match the preferences of the consumers. Smartphones are now being used to make purchases and conduct online transactions.Considering that most of the regions of the world have very high penetration of mobile use, more consumers are moving from visiting the stores for their purchases and are instead going online for the same. The payment methods offered online are secure and hence there are no security concerns for most shoppers using the medium. Studies for online shopping in the global markets show that a huge percent of consumers are using the online platform to find what they are looking for. Factors making online shopping attractive 1. Convenience is without doubt the biggest factor in online shopping. Customers have an easy time browsing products, reading reviews and even comparing prices before placing orders. The convenience does not end there because they can also have the items delivered to where they are. They don’t need to move from their homes or offices to purchase what they need.2. Trust is another factor that has contributed to the increase in online shopping. Most online stores offer excellent customer service and customer support enabling the customers to feel secure when making online transactions. They can ask as many questions as possible to gain trust with the company before making purchases. On the other hand, most of the online businesses are putting in measures to build the trust between them and the customers. There are many reputable and reliable sites.3. Technological awareness has also played a role in the popularity of online shopping. Smartphones have taken the place of consumers and considering that they are more affordable, a large number of consumers can access the internet without any problem. Most areas have huge internet penetration increasing customer involvement in e-commerce.4. Product variety has also seen to an increase in the popularity of online shopping. Shoppers understand the importance of variety and getting the best quality every time and they therefore love the fact that they can look at what the different stores and brands have to offer before they buy. Variety makes it possible for them to get high quality products at lower costs. They are not limited to specific items in one store as it is usually the case with offline shopping. 5. Round the clock shopping has also been made possible by the online shopping platforms. Buyers are not time restricted because the online shops remain open round the clock. 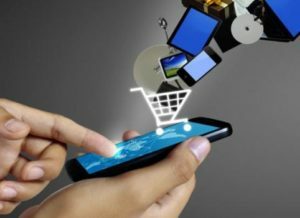 They can shop at any given time and from any given place.The future looks bright for the global market as new apps keep getting introduced improving e-commerce in the process. As the competition grows among businesses, those with excellent customer service will only increase sales as a result of customer satisfactions. Only companies that focus on customer needs and experience will stay afloat in the market competition. On the other hand, consumers can only expect shopping experiences to get better and better as the days go by as businesses struggle to offer more convenience in finding and purchasing products or hiring services. It is up to every online brand to find ways of winning customer loyalty to continue enjoying increased sales with their online platforms.